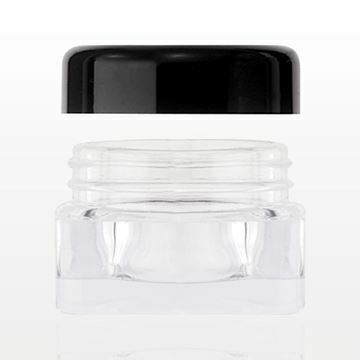 Sample or store your product in this clear, double walled polystyrene square jar with black threaded cap. 5 gram, 5 ml, 0.17 oz. 7.5 gram, 7.5 ml, 0.25 oz. 20 gram, 20 ml, 0.67 oz. This polystyrene jar assembly includes a jar, sifter and lid. The lid is black trimmed with a clear center for a classic look. 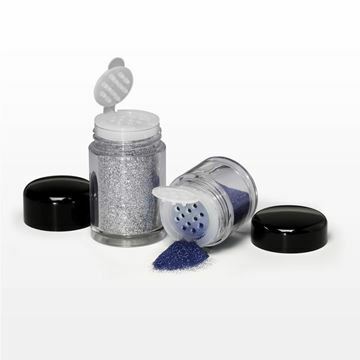 The polyethylene sifter is removable for easy filling. 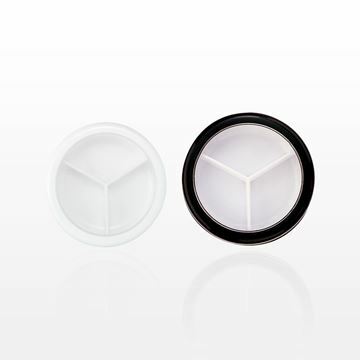 Jar Assembly includes Part # 29277 - Jar with Black Trimmed Cap, Clear and Part # 29267 - Sifter. 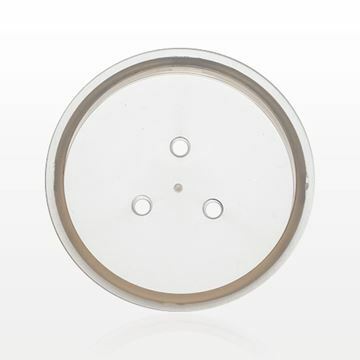 This polystyrene jar assembly includes a jar, sifter, sponge and lid. 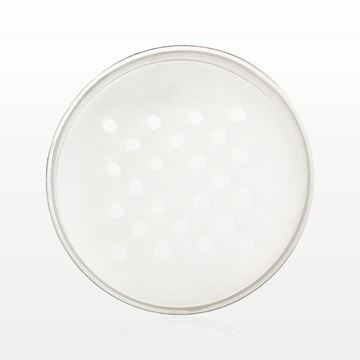 The lid is black trimmed with a clear center for a classic look.The polyethylene sifter is removable for easy filling. Jar Assembly with Sponge includes Part # 29277 - Jar with Black Trimmed Cap, Clear, Part # 29267 - Sifter and Part # 20144 Round Sponge, White. 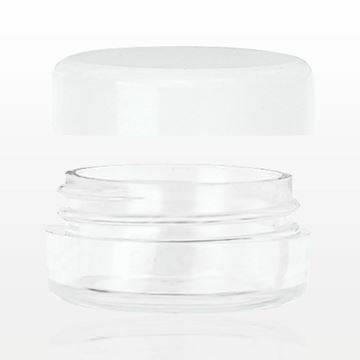 Sample or store your product in this clear plastic round jar with white threaded cap and liner. 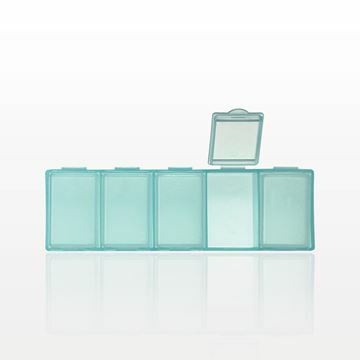 Easily utilize this multi-purpose case with 5 compartments as a pill organizer or as a travel-sized storage container. Professional Makeup Artists can also conveniently organize their makeup kit by repackaging lipsticks, foundations, concealers and other cosmetics into these multi-purpose cases. 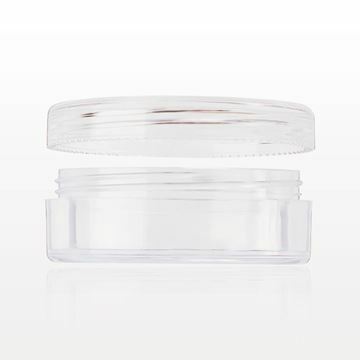 Use this round hinged jar to provide your customers with convenient take home samples of your cream, lotion, serum or powder based product formulas. The hinged container easily snaps shut to secure the product inside. Available in 1 ml, 3 ml, 5 ml and 10 ml sizes. This jar with cap has a convenient sifter with twist and lock feature. 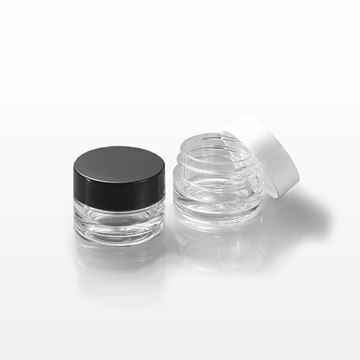 To help prevent contents from spilling or collecting in the cap, gently twist the ridge to open, dose out contents, then turn back to lock and close. 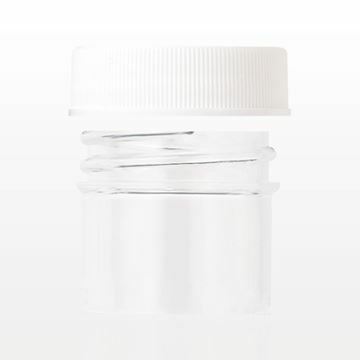 Use this threaded round jar with cap to provide your customers with convenient take home samples of your cream, lotion, serum or powder based product formulas. For your convenience, these jars are neatly layer packed. 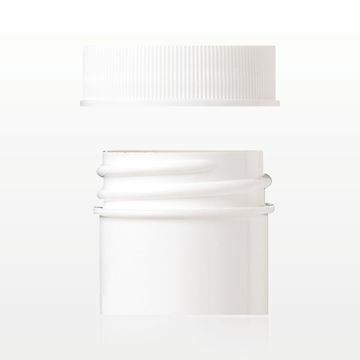 Provide samples of various product formulas with this jar with cap. 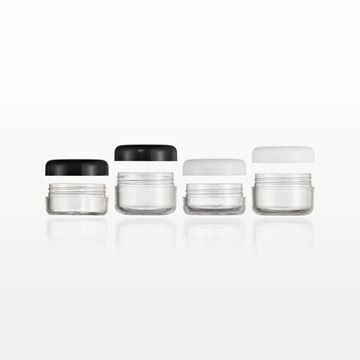 Provide samples of various product formulas with these 4 gram jars with threaded cap and liner. 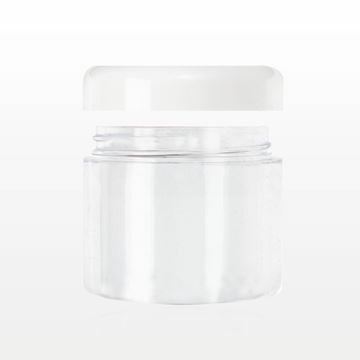 Sample or store your product in this plastic double walled jar with cap. This jar with 3-way divider allows you to conveniently present three different products in one package. An excellent choice for cream and solid formulations such as concealer, corrector, solid lip gloss, lipstick and solid perfumes. 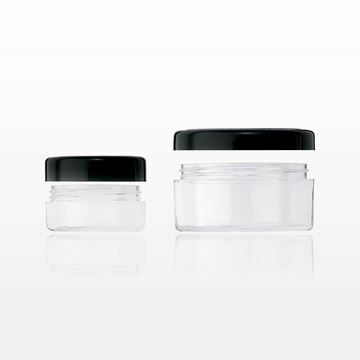 Sample or store various product formulas with these clear jars made from polystyrene, ABS and acrylic materials. The trimmed caps make it easy to see the product from the overhead. 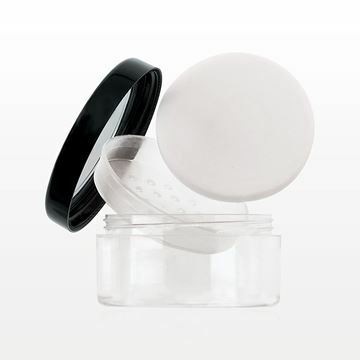 Sample or store various product formulas with this modern square jar with round cap.